Wear the armor with skills and weapons of Crysis in Minecraft format. 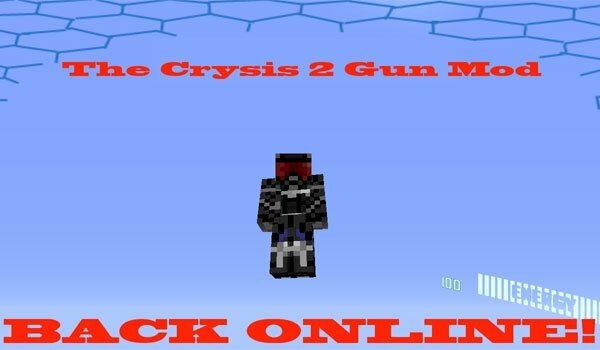 Crysis Gun 1.5.2 is a mod that let use various elements of the game Crysis to get benefit in Minecraft. It’s possible to craft Crysis’ armor that offers three new skills. Z: To toggle the view. All this about armor, but certainly the mainly new features in this mod are focused on the weapons, based obviously on Crysis and some with really powerful powers. How to install Crysis Gun Mod for Minecraft 1.5.2? Modloader paste files within “minecraft.jar”. Paste the contents of the downloaded mod, inside “minecraft.jar”. 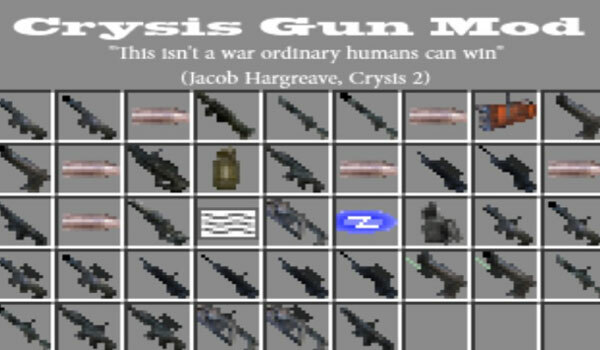 Armor, weapons and skills of Crysis for Minecraft!